The Paris module module firmware has been updated to version 1.1.5. The Kelvin NTC10K temperature module firmware has been updated to version 1.2.5. The Beijing I/O module firmware has been updated to version 1.1.5. 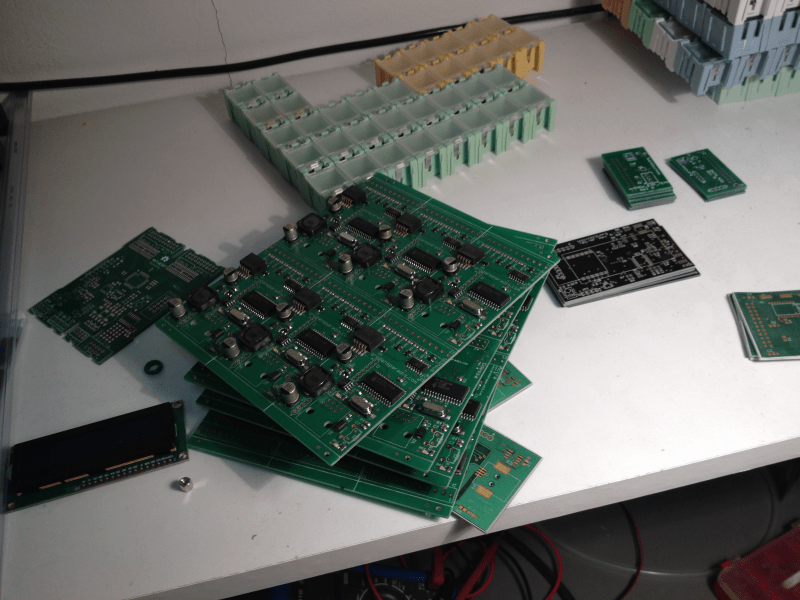 The Accra counter module firmware has been updated to version 1.0.2. The Vilnius A/D module firmware has been updated to version 1.0.3. Instructions on how to update the firmware is available in the modules manual. Some days I actually get some time to code. But not today. At least not a lot. Building Beijing, Vilnius and Kelvin NTC10K today. Beijing is our most selling product at the moment. Almost all go to Belgium and Netherlands. VSCP countries down there. Bright people. The product page is here. 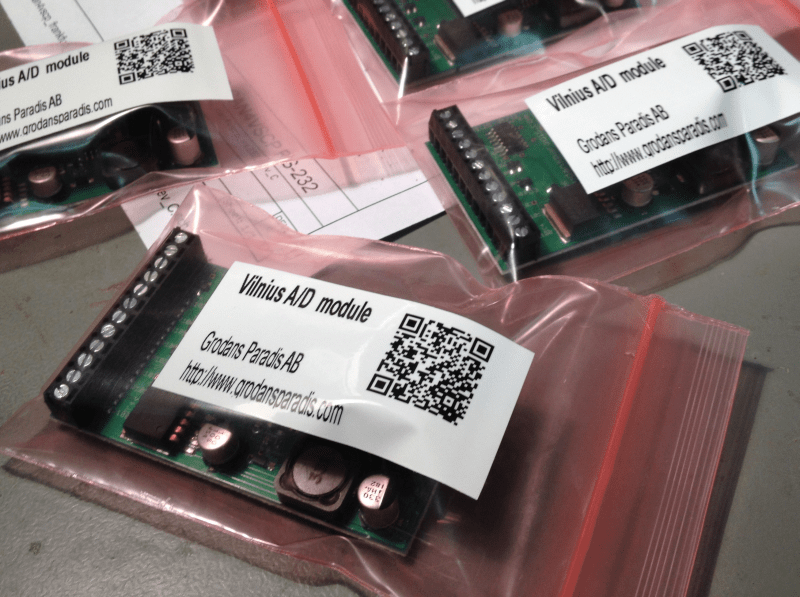 Vilnius A/D module is a CAN4VSCP based module that have four 10-bit A/D channels for 0-5V or 0-10V and also have two 5V I/O channels that can be set as inputs or outputs. General use is to read analog values and as all other VSCP modules you can get the readings reported automatically with a user specified period. where k and m are configurable 32-bit floating point constants. You have full control of which event is sent and which unit is used. This means you can send out any A/D reading as a real unit such as voltage, temperature or in any other SI specified unit. You can also assign alarm limits so that alarm events are sent when the level goes above a certain value or below a certain value. Two I/O channels are available. Both can individually be set as inputs or outputs. ON/OFF or TurnOn/TurnOff events can be sent out when I/O change state. The module can be attached to a standard DIN Rail or be mounted directly on a wall. 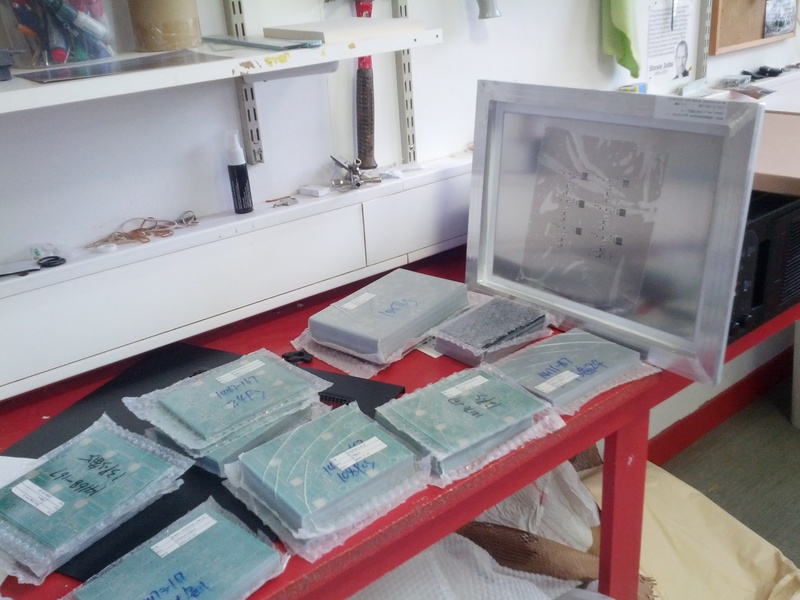 The mounting enclosures are ordered as separate options when the module is ordered. The module fully adopts to the VSCP CAN4VSCP specification and can be powered directly over the bus cable with a good 9-28V DC power source. This means there is no need for a separate power cable. VSCP CAN modules are designed to work on a VSCP4CAN bus which use ordinary RJ-45 connectors or use the daisy chain pinhead which can be used to connect modules that are mounted close to each other. For the bus a CAT5 or better twisted pair cable is used. Bus length can have a total length of 500 meters with drops of maximum 24 meters length (up to a total of 120 meters). As for all VSCP4CAN modules the communication speed is fixed at 125 kbps. All VSCP modules contains information of there own setup, manual, hardware version, manufacturer etc. When VSCP modules are started up they have a default functionality that often is all that is needed to get a working setup. If the module have something to report it will send you an event and if it is setup to react on a certain type of event it will do it’s work when you send event(s) to it. It does not need to be harder than that. Next module in the workflow is the Vilnius A/D module. It is hooked up on the desk here now and the development environment is loaded. The hardware for it has been ready a while, now it’s time for code. With a bit of luck it will be available in the FrogShop next week. Verifying the Beijing module. All is well up to now I can tell you. But a lot of functionality to test so things takes time as always. The Accra and the Vilnius modules are standing impatiently here in queue to be tested also including some other modules. Soon we move up to Ethernet, Bluetooth and Wifi. 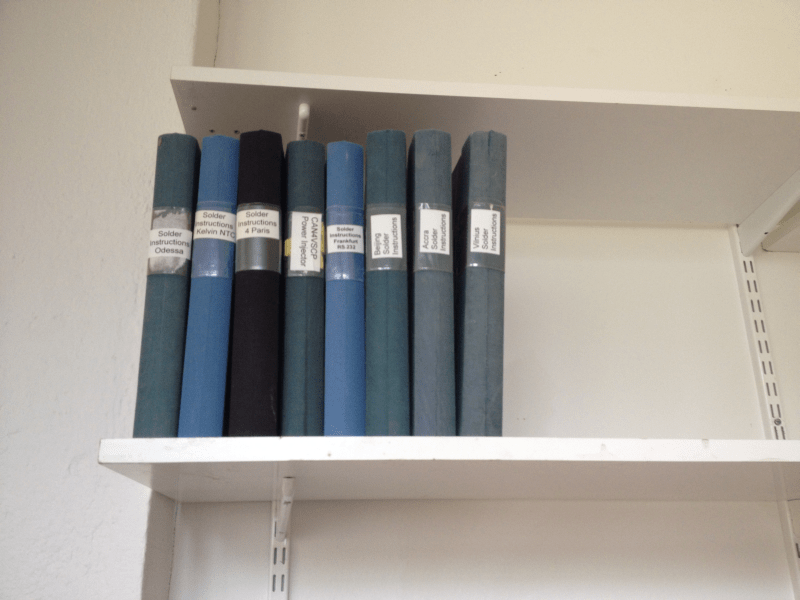 … it would not be a full day without them. Also soon available in the frogshop. Anyway a god day here at the Paradise of the Frog. A vision from 1979 is realized today. The Beijing card is much the same as the one sketched down on some papers back then. To expensive to realize at the time of course. Not so today. Dreams come true and so do CAN4VSCP building blocks. Beijing a general I/O card. Accra a general counter card. Vilnius a general A/D card. CAN4VSCP Power Injector. Used to inject power into a CAN4VSCP bus and is secured with auto resetable fuses. CAN4VSCP pressure module. 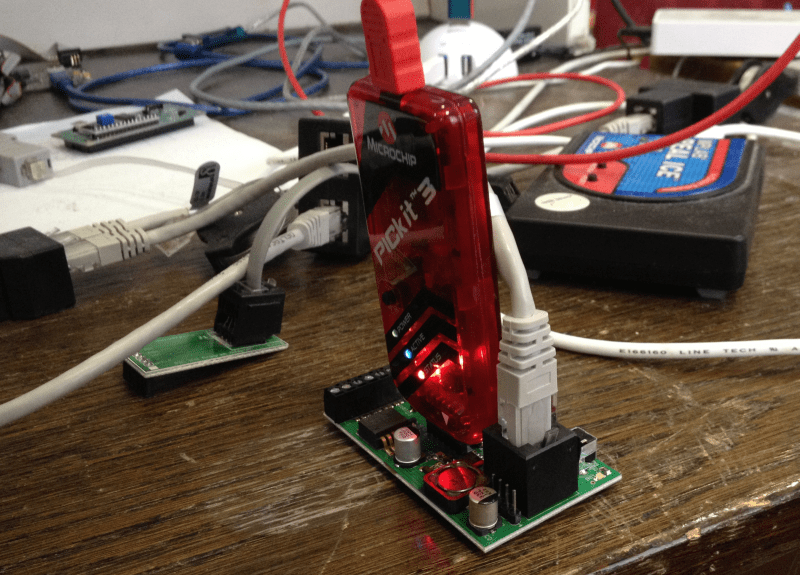 It can also be used as a Bluetooth BLE 4.0 interface module and is called Los Angeles in that version. Sold as separate products. CAN4VSCP general counter module. 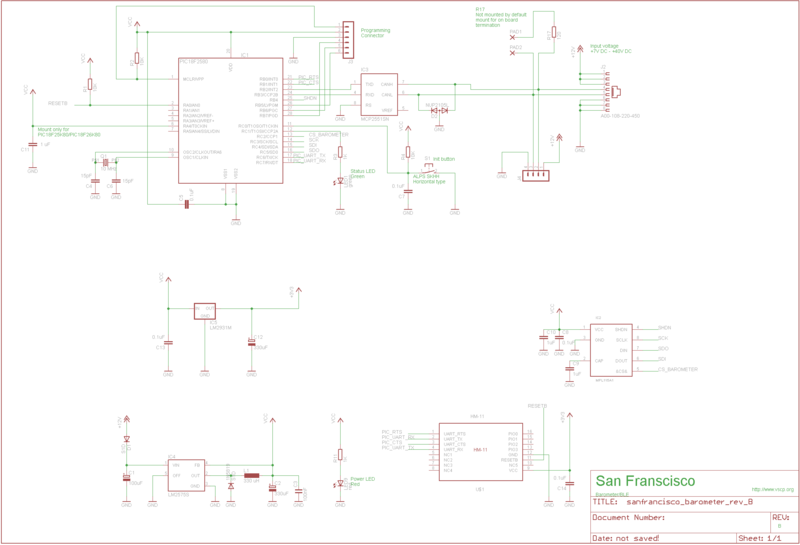 A module that can be used to count pulses from meters and such devices. Power meter interface. A companion product to Accra that can be used to read power meters. CAN4VSCP temperature reader module. Second unit in the Kelvin temperature module series that can interface 1-wire sensors. CAN4VSCP general expansion module. A general format expansion card can be fitted to this board. This is the same cards used for the Zeus Ethernet board. 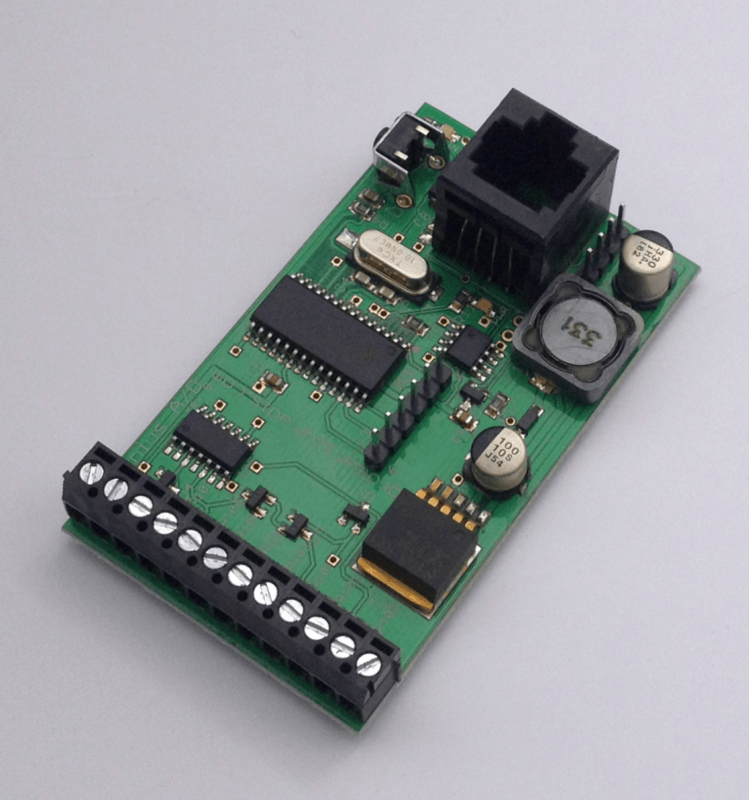 Zeus expansion board which can be used for 433 MHz receive/transmit or 802.15.4 communication. Linux base board with CAN4VSCP interface, Ethernet, Wifi, serial interface, USB host/slave, 433 MHz transmitter/receiver. Accra, Beijing, Vilnius, Odessa, Kelvin 1Wire, San Franscisco, Blitz, Roma, Kilafors and CAN4VSCP power injector sent away for production. A big step for me a small step for mankind.